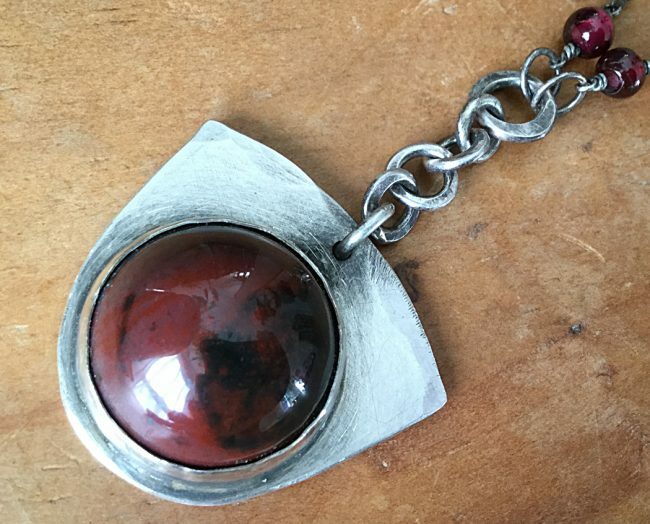 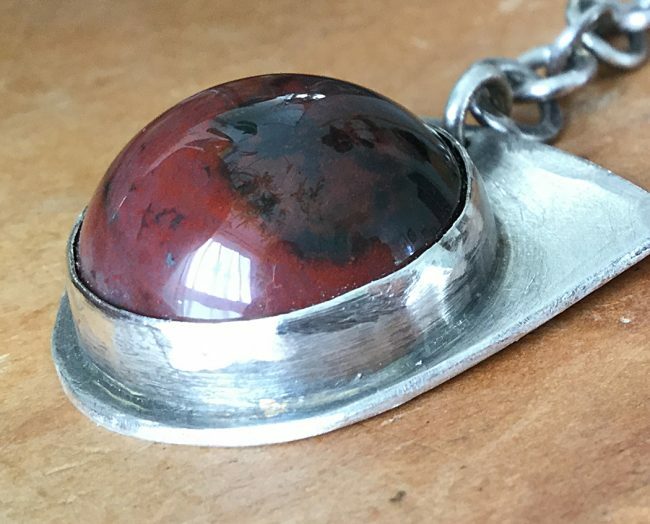 Very deep red jasper, a bit of a moody black night fog on one side, resides here in a hand fabricated bezel. Soldered onto a back plate with the bezel resting at the bottom of the curved shape. 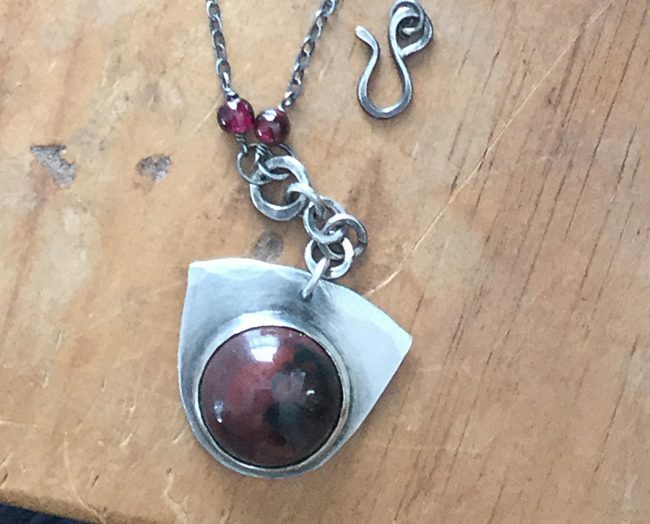 It brings to mind a minimalist version of the shape of a peacock feather, balanced with that wide unblinking eye. 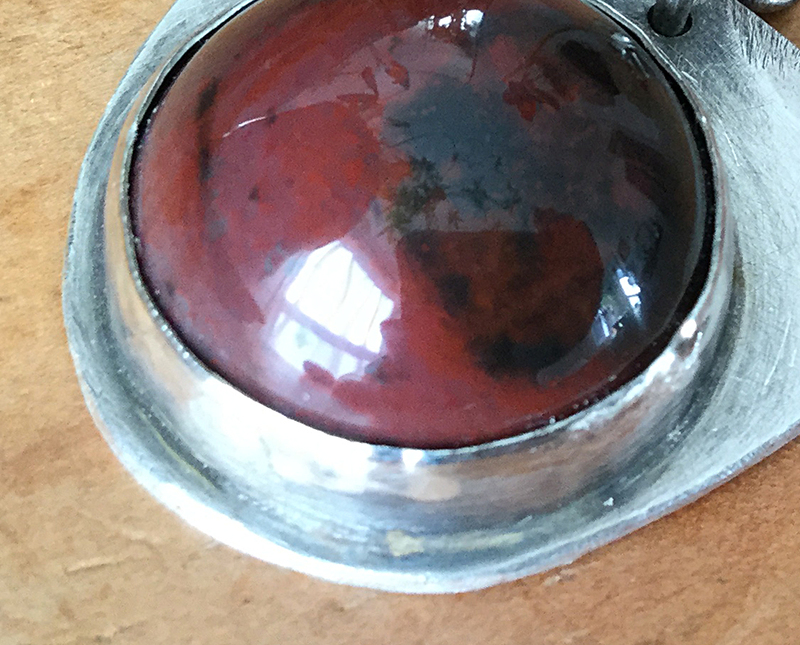 Night sky reflection or a mirror to nature’s ancient rituals, who is watching? 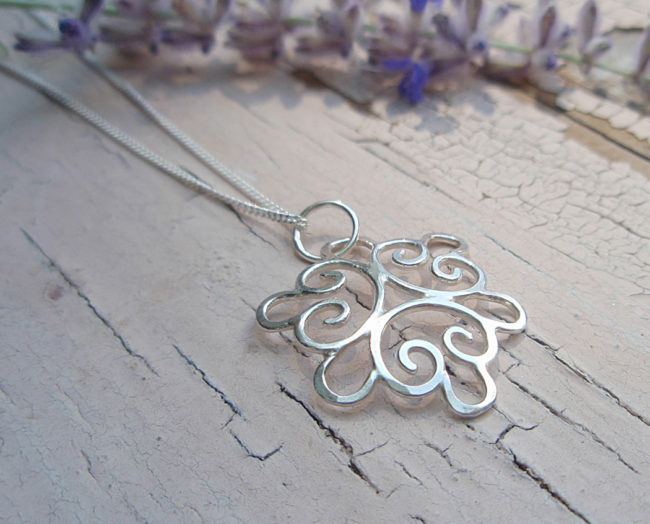 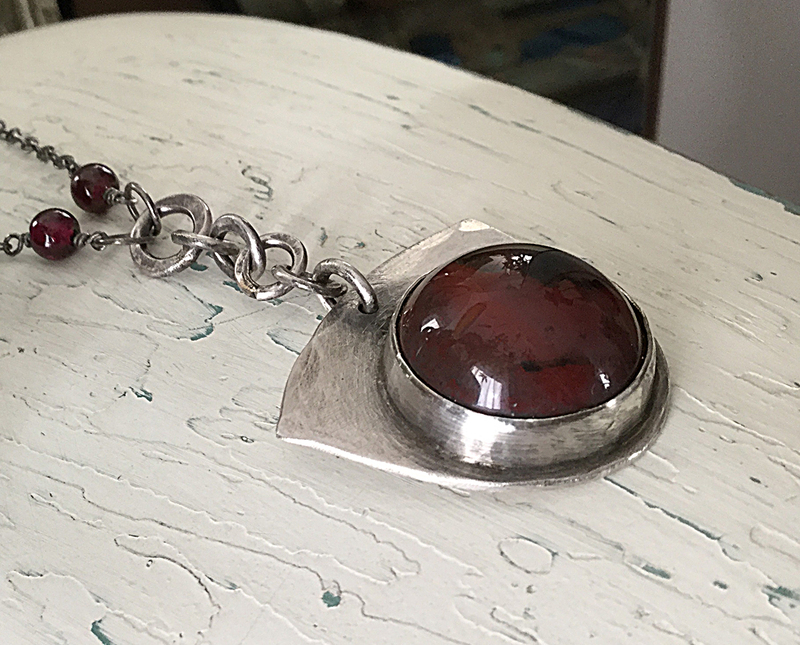 The chunky pendant hangs resolutely from several hammered silver links to drop below the necklace chain, making the pendant itself a little more than 2″ long in a Y style. 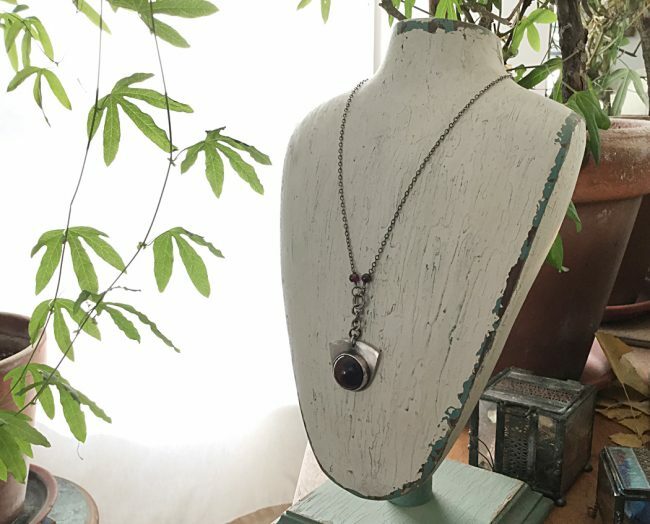 Two small deep hued garnets attach to each side and hold it onto the sturdy oxidized chain. 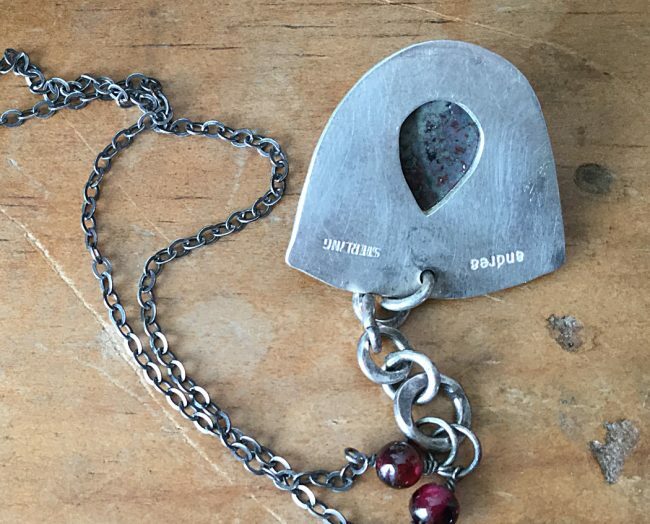 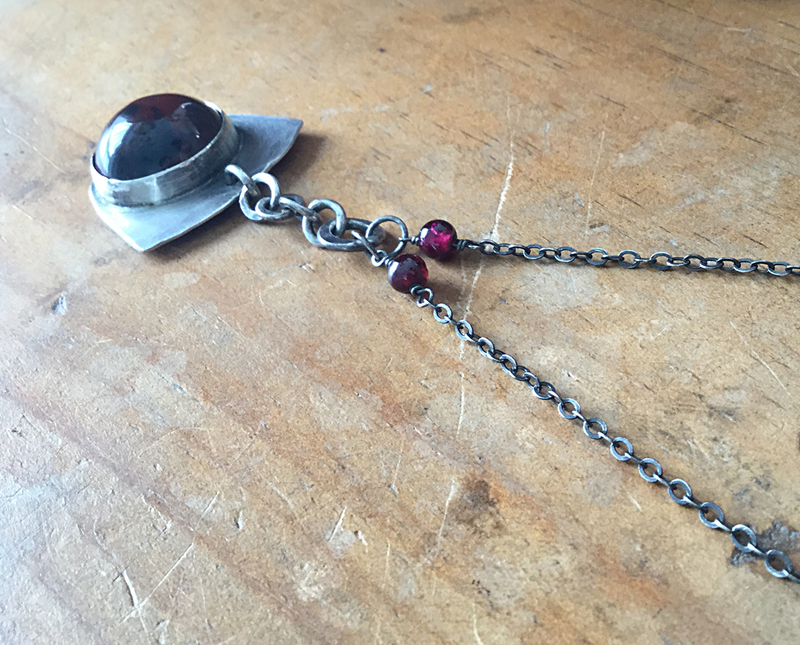 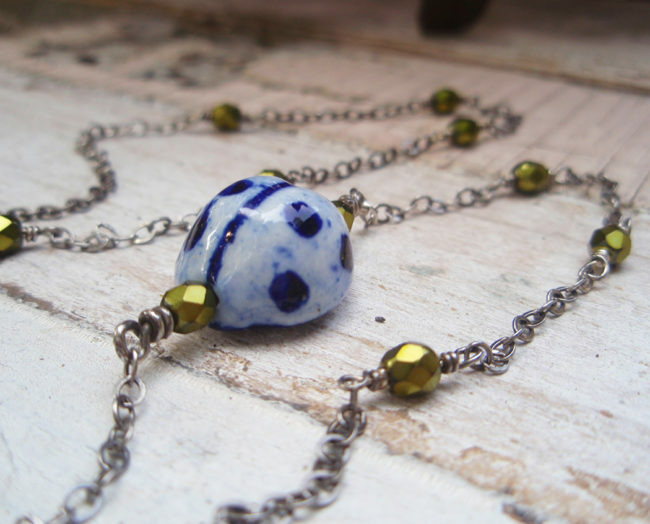 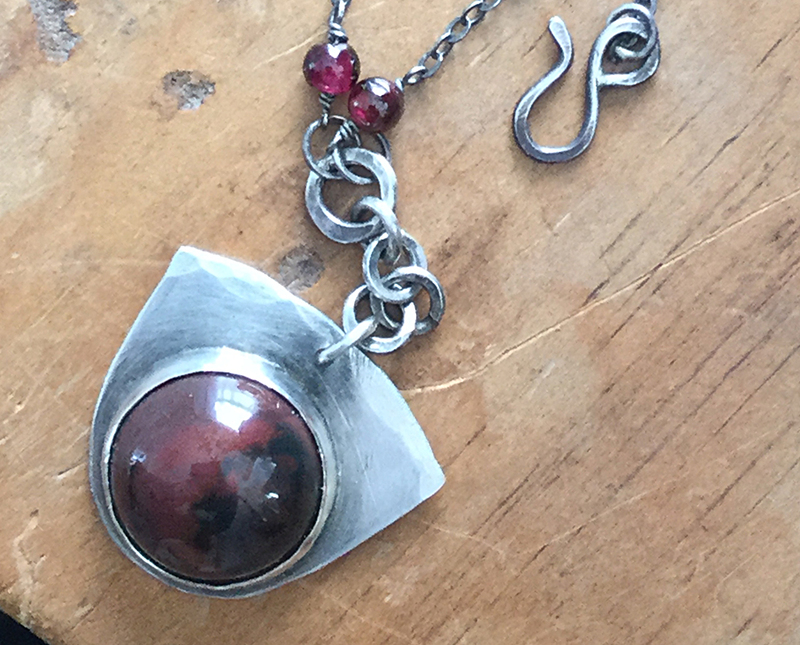 The necklace is 17 1/2″ long, with a 3 1/2 extender and hand fabricated hook & eye. That 2″ drop hangs from the center of the 17 1/2″ length. 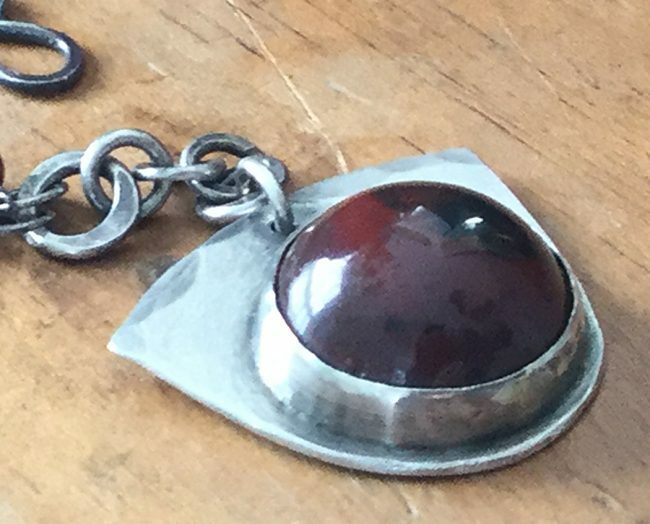 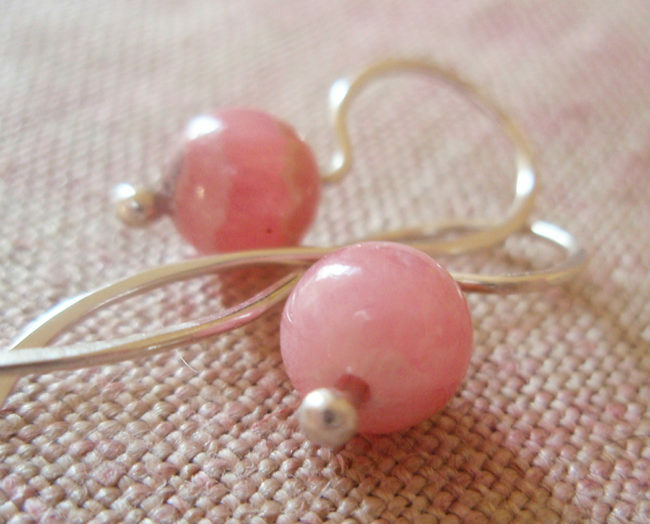 The back of the pendant has a hand cut tear drop shape… is there water on the moon? 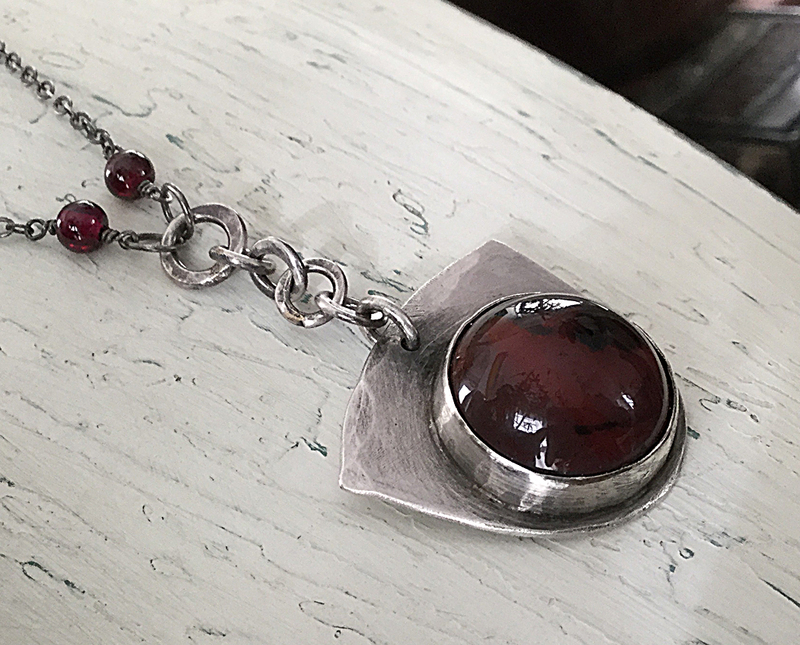 A cloudy night, a deep red moon, a winter’s moody chill… the fire is deep within, can you find it?